It all started with a vision that there could be trees on the barren Great Plains. When I wrote about The Timber Culture Act of 1873 last month I told how free land was offered to western settlers who who agreed to grow trees for lumber, fuel, and windbreaks on the open prairies. 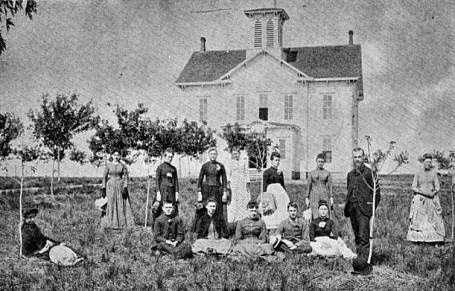 But as early as the 1850's pioneering proved difficult for settlers in the midst of the treeless prairie. In 1854, a young couple, Julius Sterling Morton and his new bride, Carrie, left Michigan for the unsettled Great Plains of Nebraska. J. Sterling Morton was took a job as a journalist at the territory's first newspaper, the Nebraska City News. It was a promising beginning for the young couple and within a few years planted over 1,000 trees on their property. Morton was soon named Editor of the paper and used his position to advocate the planting of trees in his editorials, urging civic organizations to join him in the effort. Morton held several political positions including the acting Governor of Nebraska for a few months before Nebraska's statehood in 1867. 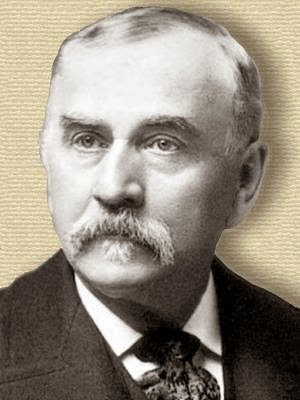 He then put his focus into agriculture and conservation, taking a position on the State Board of Agriculture, and in 1892 he was appointed the National Secretary of Agriculture. But it was in 1872 that J. Sterling Morton proposed that a day“be set apart and consecrated for tree planting in the State of Nebraska and that the State Board of Agriculture hereby name it Arbor Day.” On April 12, 1872, the first Arbor Day celebration was held in Nebraska City, Nebraska. Prizes were offered to organizations, local communities, and counties for planting the most trees. Over the next year over one million trees were planted throughout the state. 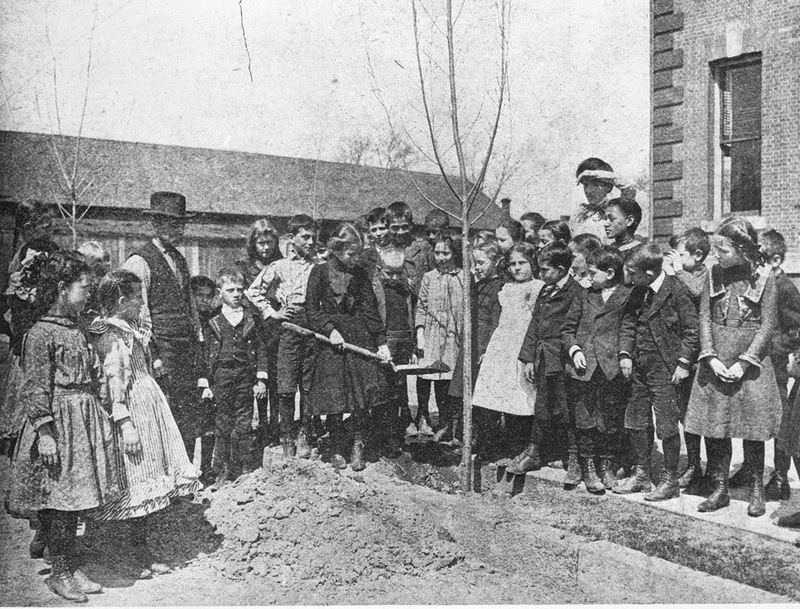 By 1875 Arbor Day was established as a national holiday on April 22nd, Morton's birthday. This first Arbor Day was instrumental in motivating Congress to pass The Timber Culture Act, which offered free land to western settlers who agreed to plant trees on their land claims. Today, it is estimated that 18 million trees are planted each year on Arbor Day, celebrated in most states in the month of April. 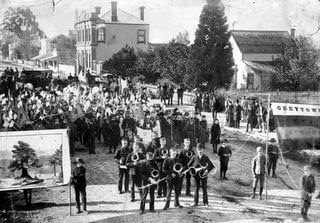 An Arbor Day celebration in 1887.
as part of an Arbor Day program in 1901. Have you ever planted a tree on Arbor Day? Interesting article. I live in Denver, and I've always thought that every tree on the eastern plains of Colorado was planted by someone. Trees just don't grow out here by themselves! It surely took a lot of effort to grow the trees in much of the west. I never realized until I studied this for my research. 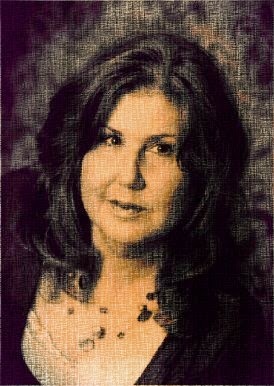 I'm looking forward to reading your novella, Carla. I live in Nebraska, and Arbor Day is a "big deal" to us. If you're ever in this part of the country, you'd enjoy visiting Morton's gorgeous home in Nebraska City. It's quite a place, and his passion for trees is carried on with all kinds of associated events at nearby Arbor Lodge. What a great place to live, Stephanie! I really fell in love with the history as I researched the state. I came across a 19th century illustration of the Morton estate and it showed the many trees he planted on his own property. I'd love to visit it in person! He sounds like such a fascinating and influential man. We planted trees when visiting Israel one time. I don.t think it was Arbor Day but an optional activity for tourists to reforest parts of Israel. 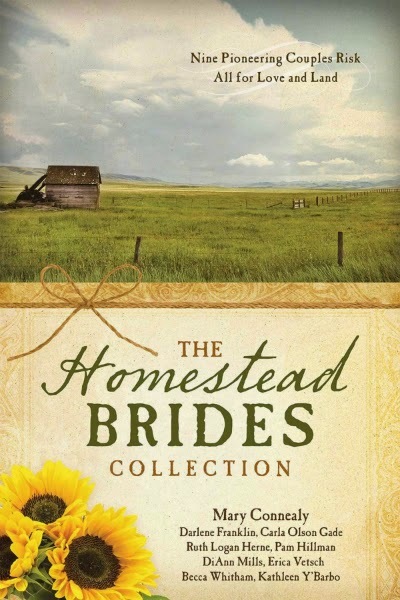 Would love to read The Homestead Brides Collection. Sm wileygreen1(at)yahoo(dot)com. That is very special, Sharon! I would love to go to Israel some day. Many countries followed America in the idea of planting trees. One great way to care for the beautiful world we live in. Enjoyed the post on Arbor Day.. Our bank offered tree's on Arbor day. We always took one to plant . .